A Valor sign sits near Howell Mill Road. Another month, another mix of film and television projects shooting in our city. And while we may have taken a day to stare at a much bigger star in August, Atlanta’s constant production schedule keeps us hoping to catch a glimpse of our favorite celebrities. Here’s a rundown of what shot where in August. The Marvel Cinematic Universe continues to dominate. Returning from a brief shoot in Tokyo, the back-to-back production of Avengers: Infinity War (FIGARO) and the to-be-titled “Avengers 4” brings an all-star cast back to Georgia, including fan-favorite MCU alumni Robert Downey Jr., Chris Hemsworth, Scarlett Johannson, Chris Evans, Benedict Cumberbatch, Chris Pratt, Paul Rudd, Tom Holland . . . you get the idea. Avengers was spotted downtown on August 11. On the 16th, signs were up for a shoot on the Pinewood Studios Atlanta property in Fayetteville. Between the 18th and the 19th, crews worked south of the Five Points MARTA station, shooting near the Gulch. This week, from August 21 to 23, Piedmont Park served as the backdrop for filming. And speaking of the MCU, Ant-Man and the Wasp (ML) has begun principle photography. In addition to Paul Rudd, you may spot Evangeline Lilly, Michael Douglas, and Laurence Fishburne around town. Also, Atlanta native rapper T.I., who played a small role in the first Ant-Man, will be returning for the sequel. We first saw crews for Ant-Man at the Atlanta International School between August 3 and 6. Next, signs were spotted in Midtown on Spring Street on the 10th. Filming moved to Buckhead the next day. The production then moved to Emory’s Briarcliff campus between August 13 and 15. On the 16th, filming took place at Samuel M. Inman Middle School in Virginia-Highland. More signs lead to the Atlanta Motor Speedway on August 17. The CW is producing a new drama series titled Valor (VLR). The show focuses on an elite unit of helicopter pilots and the boundaries between their military training and personal lives. Think Quantico with helicopters. Kenneth Israel, Axel Arzola, and Morganna Bridgers are attached. Valor started August at Fulton County Airport before moving to Stone Mountain Park on the 2nd. A basecamp was located in Lilburn at Parkview High School the next day. August 10 brought production signs and crews to Underwood Hills, and to Fulton Industrial Boulevard on the 11th. On the 12th and 23rd, signs were spotted off of Howell Mill Road and I-75 leading to a nearby studio. Remember Uncle Drew (BUCKETS) the Pepsi-produced, Kyrie Irving-starred shorts? Well, the character is getting a film treatment. Details are very sparse, but Irving is attached to play the titular role. Shaquille O’Neal and Lil Rel Howery will also appear in the film, according to Entertainment Weekly. Uncle Drew signs first appeared near the Atlanta Civic Center on August 4. We saw more on Spring Street in Midtown on the 10th. A basecamp was set up not far from the World of Coca-Cola (really, Pepsi?) between the 12th and the 15th. Filming also took place around the Medical Arts Building during that time. Production was back in Midtown for August 16, and most recently was spotted in Conyers from August 21 to 22. CBS’s MacGyver (EYE) continues to shoot its second season. At the end of July, a basecamp appeared at John Wesley Dobbs and Piedmont Avenues downtown. On August 4, the show filmed at McCollum Airport in Cobb County. Crews returned downtown between the 10th and the 12th, shooting near Woodruff Park. August 15 took them back up to Cobb County, near the Marietta Museum of History Aviation Wing. Most recently, MacGyver was in Buckhead on August 21, and near Murphy Avenue and Ralph David Abernathy Boulevard between the 23rd and 24th. Brand new this month is Dumplin’ (DHI) starring Jennifer Aniston, Dove Cameron, and Odeya Rush. The film, based on the Julie Murphy novel, centers on an overweight girl nicknamed “Dumplin’” entering a beauty pageant to prove her self-worth. Dumplin’ has just started production, but we’ve already seen it at Northlake Mall on August 22, and in Conyers on the 23rd. Look for more on this film next month. Last month, we mentioned how Atlanta nabbed the season order of FOX’s new X-Men show, The Gifted (HVN). The pilot was shot in Dallas, Texas earlier this year. At the end of July, The Gifted worked out of Fairburn. On August 1, crews took over the abandoned Piedmont Newnan Hospital. Production was spotted at the Cobb Energy Center on August 2. During the next few days, filming was scheduled for an old jail in Douglasville. The Gifted stars Stephen Moyer, Amy Acker, Sean Teale, Jaime Chung, Coby Bell, Emma Dumont, Blair Redford, Natalie Alyn Lind, and Percy Hynes White. Clint Eastwood’s latest directorial project 15:17 to Paris (KIKI) had a basecamp set up at the United Methodist Children’s Home in Decatur between July 29 and August 2. Crews filmed nearby at a home on Midway Road. On August 6, the film moved to Virginia-Highland, setting up a basecamp near San Francisco Coffee Roasting Co. During the 7th, a scene was shot on Main Street in Lindbergh. Elsewhere this month, The Originals (TOGS) set up at Westview Cemetery on August 1. There were additional signs spotted at the Atlanta Civic Center on August 4 and in Lenora Park in Snellville on August 16. The CW’s Dynasty (CROSSEYE) reboot also shot into August. On the 2nd, the series was in Suwanee, near Settles Bridge Park. On the 16th, crews filmed in Buckhead. Godzilla: King of Monsters (FATHOM), featuring Millie Bobby Brown, had signs up in Norcross on July 30, and shot in Chattahoochee Hills on August 19. Step Up: High Water (SUP) signs were spotted on July 27 at the Yaraab Shrines Temple, and Star (SOS) shot in downtown Atlanta on August 18. 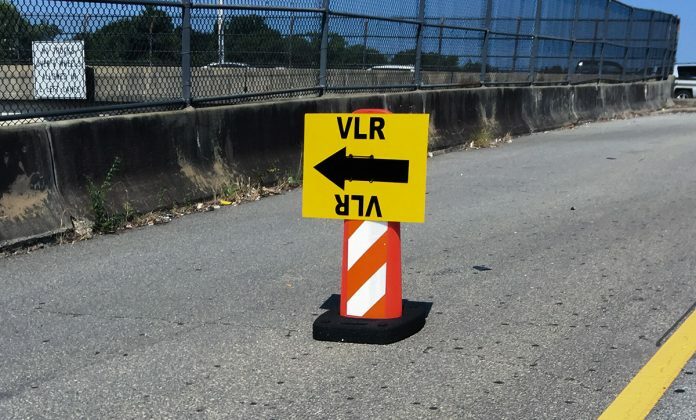 Both Rampage (R-19) and Jacob’s Ladder (JL) picked up a few reshoots at the beginning of August, filming at the Georgian Terrace and the shuttered Georgia Mental Health Institute near Emory respectively. Finally this month, a bit of sad news: Captain Marvel is reportedly not going to film in Georgia as previously stated. The Atlanta Business Chronicle reports that California selected the film to receive a special tax credit. The offer, 20 percent of the first $100 million spent back in credits, is generous, but pales in comparison to Georgia’s whopping 30 percent uncapped. Don’t worry about this becoming the norm, though. California only selects a handful of films each year to receive this offer. The Peach State gives its benefit to everyone. The motivation for moving could have to do more with labor than tax credits. Atlanta’s film industry is still growing, and our labor pool, especially for higher-level crew positions, isn’t quite yet where it needs to be for the amount of films shot here. With many new talents in our local industry, Atlanta production coordinators sometimes have difficulty finding more experienced crewmembers. Flying in a specialized position requires an additional living stipend, rental car, and other expenses that wouldn’t need to be paid for a local resident. In California, however, the experience pool is more even. Ultimately, I believe the Captain Marvel decision came down to an equation. On one side, you have Georgia’s better tax credits, higher travel costs for specialized crew, and lack of crew experience. On the other, you have roughly two-thirds of the same tax credits, fewer travel costs, more trained crew, yet higher wages. It might have been worth losing the better tax break to benefit from California’s infrastructure. But this is all just speculation. Maybe it wasn’t the crews or the money—maybe we’re just getting too good at point out what’s filming and the project needs a tighter lid. If that’s the case, Disney, I can always be bribed with tickets to the premiere of The Last Jedi.